Are Growing, Preserving, Cooking our own foods becoming a thing of the past - lost in the dust of history? Have these time honored traditions been cast off for the sake of convenience? Do you remember the days gone by, where as a child, you watched from a perch on a stool as your mom or grandmother prepared a meal from scratch, using fresh cut vegetables from her garden, picked at their peak tenderness, juiciness, full of nutrients and flavor? Maybe you were allowed to be ‘a helper’ in the kitchen where you got to stir things in pots, crack eggs, use the biscuit cutter to cut out biscuits, or just play in the scraps of dough on the dough board. If you got to do these things, your mother/grandmother was trying to instill in you ‘a love for cooking’ . You were learning from the best because you were getting a ‘hands on’ demonstration of how to do it just right. Their methods had been testing and proofed, so you could be sure that what they were teaching you worked. As an adult you might have realized those ‘Seasoned Cooks’ who taught you the art seemed to have something unique in their abilities. They didn’t have to measure foods or follow written recipes. They seemed to have a special talent to judge if the recipe was coming along right by testing things like ‘consistency’ and ‘texture’ – the look and feel of the product. This is probably because many older cooks did not own cookbooks. They were taught how to cook, standing at the side of a mentor who might have been another family member or a good neighbor. They truly ‘learned’ the art of cooking, not just how to follow a recipe. I think the definition of ‘cooking’ may even have changed during the last decade. The term ‘cooking’ used to mean preparing meals from scratch. 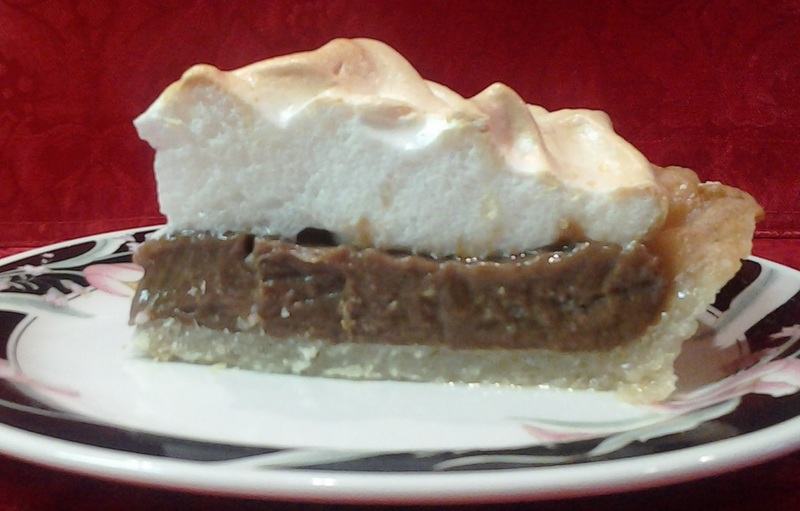 From scratch meant the actual assembly of foods, staples, seasonings together to create an edible product – example: a pie crust, filling, meringue. Nowadays, I believe the term ‘cooking’ just means going into the kitchen and stirring some boxed items together and zapping it in the microwave or dragging out a bag of pre-washed lettuce and pre-cut veggies – mixing them together with a drizzle of bottled dressing, a bag of hard croutons, and a sprinkle of dried bacon bits on top and calling that dinner. There’s no shortage of “Know How” these days. You don’t need the experienced neighbor or family member to stand by your side to ‘teach the art of cooking’ – ‘you tube videos’ have taken their place, as well as a variety of cooking shows on television. 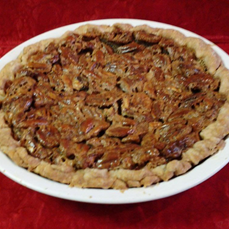 There’s no shortage of yummy recipes to choose from – ‘pinterest’ has hundreds. And there certainly is no shortage of kitchen gadgets and appliances to make the job easier. So, why aren’t more people ‘cooking meals at home’? It’s a ‘Time Thing’. People’s lives are so pressed full of activities that they have no space left on the schedule for ‘homemaking events’ such as ‘cooking meals at home’ or even ‘eating meals at home – sitting around the family table together. Life is lived in a whirlwind. So this is the ‘new normal’ universe that we live in and what used to be the ‘common’ is now the ‘unusual’. Growing our vegetables in a garden and canning and preserving them is now uncommon. Being uncommon makes this time honored craft ‘praise worthy’. “Grandma, Grandma, please let us know – just how you get your garden to grow” - Southern Traditions – Gardening – From the Grow Plot to the Cook Pot – We Southerners surely know how to grow it and how to cook it to perfection – Plucked from the soil at just the right time and rightly seasoned – produces Food At It’s Best! Just when you think the craft of Gardening has gone by the wayside – you meet a refreshing young homemaker that is keeping that tradition alive and well. In the South, we do things right! We grow luscious vegetable gardens – pluck the produce from the vines at their peak time when they are tender, juicy, and full of nutrients. Also, we Southern Cooks sure know a thing or two about rightly seasoning those foods until they burst with flavor – yes, that includes just a dab butter and a smidgeon of salt – okay, we use a lot of that stuff! Ha. Last year, I interviewed a Northeast Arkansas Gardener, Elizabeth Garner, who raised a lush large garden – she provided pictures of the beautiful plants – heavily laden with their yield and shared some of her recipes with us. Follow back through the archives of this page to see that post and try her recipes. Question #1 - Do you think Gardening and Canning Foods is a Dying Art? Anet: Yes, I see more of it every year. Folks just don't have time, but you have to make time. It's just so much easier for them to stop by the store and purchase these items. I think this generation considers gardening and cooking as being too much work. 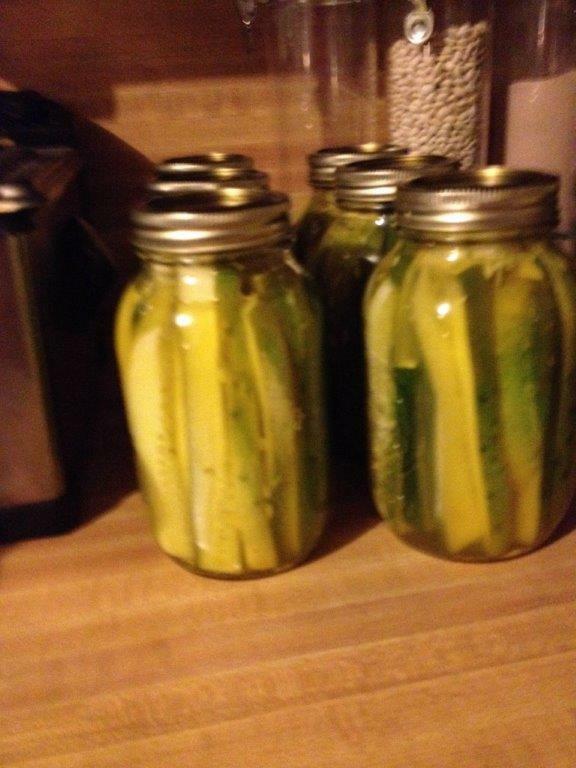 Question #2 - Why and When did you start growing and preserving your own foods? Anet: As to the "Why" - so we could have something to eat in the winter months, and, to have food on the table that had that 'fresh' picked from the garden taste. I've been preserving garden stuff since I was a 'little girl'. I guess I was an odd ball. I was the only kid in the neighborhood who would rather work the garden than ride my bike or play, but I loved every minute of being in the garden. Question #3 - Who taught you how to garden and preserve foods? Anet: Well this one answer is not just one person. There were several. My Grandma Whitenton, My Grandparents Lane, My Dad, My former mother in law Joyce Morrison all helped with those lessons. I would have to share that credit amongst them. Question #4 - Gardens come in all sizes - what size is your garden? Anet: My garden is about 24x24. We just worked out the size through the years to fit our food needs year round. Some to eat fresh and some to put up for the winter months. 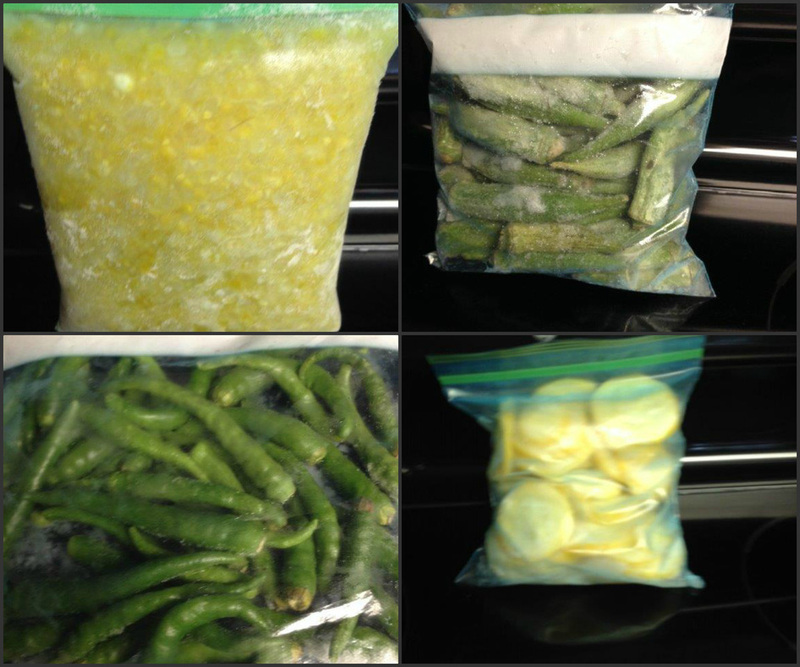 Question #5 - On average, how much produce do you can and freeze each year? 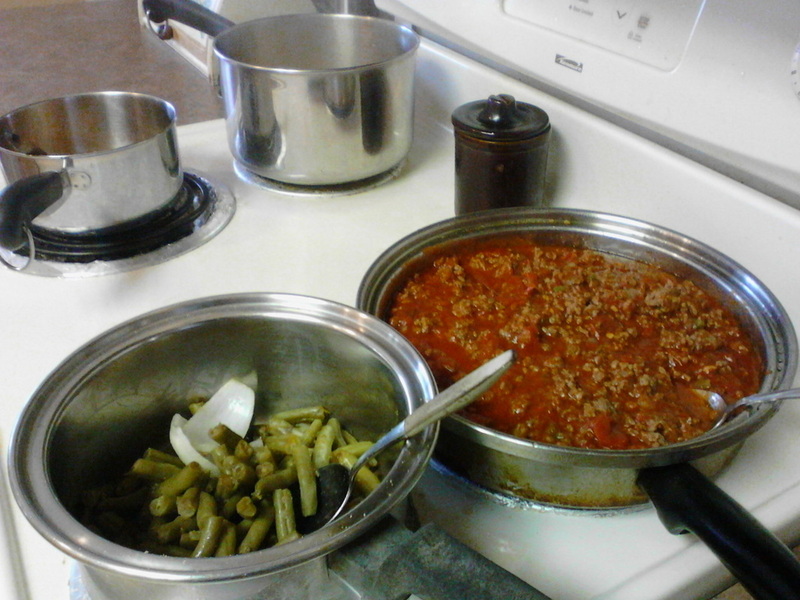 Anet: Well, the way I figure it, is by the meals, so I try to put up enough to make all my weekly meals for the veggies. I multiply that number for the winter months, so as you can see, I preserve quite a bit. I also preserve enough food to share with the family. Question #6 - What are your favorite foods to grow and preserve? Question #7 - What do you consider to be the most important things someone should consider when it come to gardening? Should they consider the space available? Sunlight available? Access to water? Anet: Yes, all the things you mentioned above are critical. Choose the foods your family likes; plan a space in your yard that acomodates your choices and is out of the way of activity (kid's play area, etc. Make sure that spot offers atleast 6 hours of sunlight. Of course access to water is a must. There is alot to think about before starting your gardening adventure. Question #8 - Do you compost? What type of fertilizer do you use for your garden? Anet: I just make sure the soil I'm planting in is 'good soil' - well tilled. Question #9 - Will you share some of your great recipes with our audience that includes foods grown in your garden? Anet: Certainly. For variety, I'll include Corn Casserole, Squash Relish, and Sweet Potato Pie. Those are really good choices, Anet, and 'Thank You' so much for sharing with us all, the beautiful pictures of your garden. It is certainly evident from this interview that this garden was planted with a love for nature and tended to with the understanding of nurture. Preheat oven to 350 degrees. Mix all ingredients (except half the melted butter), pour into a greased baking dish. Pour remaining melted butter on top. Bake 55 - 60 min. Bring vinegar, turmeric, pickling spice to a boil - then add sugar and stir until dissolved. Add squash mixture to cook pot - boil another 5 minutes. 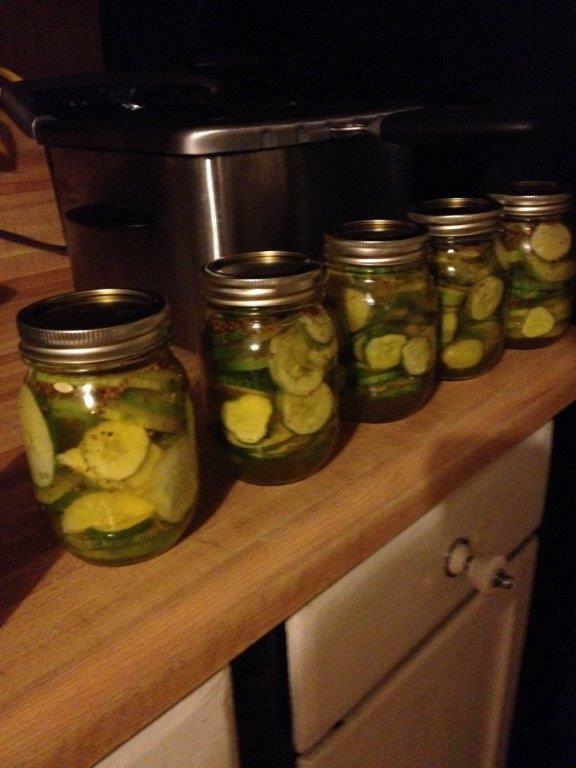 Pack into clean sterilized canning jars. Leave about 1/2 inch head space. Wipe rims clean, screw lids onto jars. Process in hot water bath for about 15 minutes. 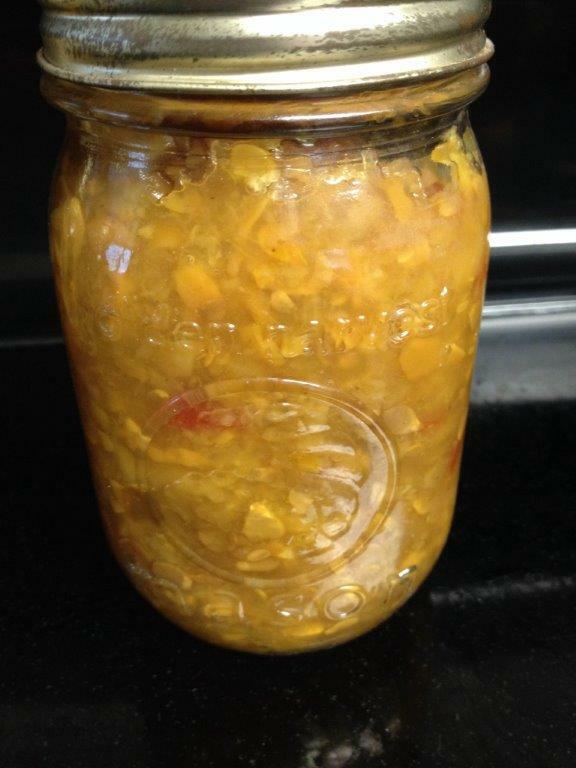 This recipe should make about dozen pint jars of relish. Mix butter, potatoes, sugar & milk until well blended. Add vailla, eggs, cinnamon - mix well. 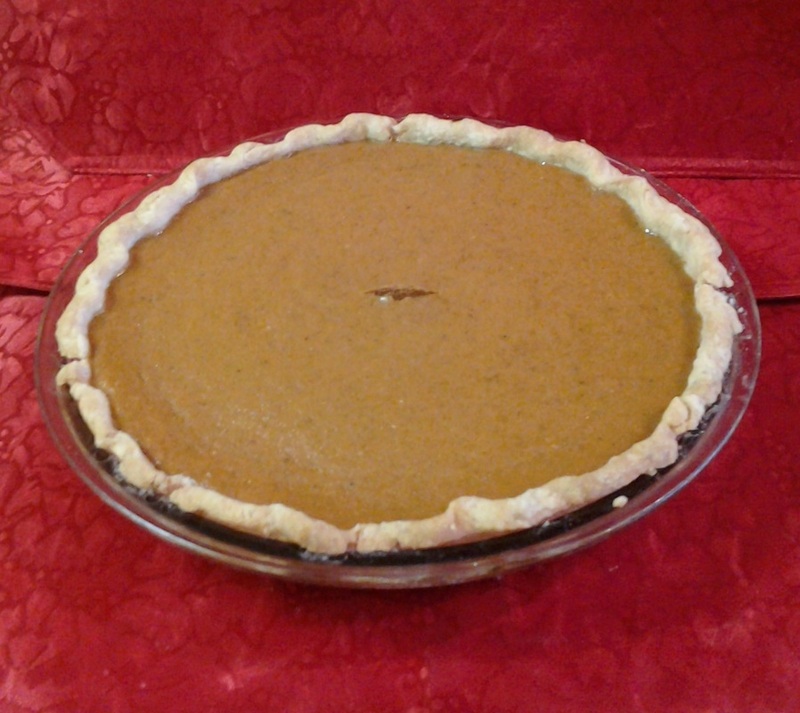 Pour into unbaked pie crust and bake 1 hour at 350 degrees oven (or until center of pie is set). Sift flour into a bowl - stir in salt. 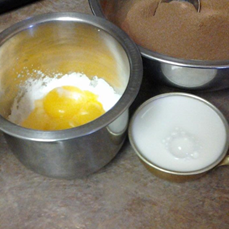 Let cup of shortening set in shallow pan of warm water for 10 minutes, then add to flour/salt mixture. Cut the shortening into the flour using two knives in cross-cross fashion (as if cutting up meat on a plate). Cut until mixture has corn meal texture. Add milk and stir until combined. Sprinkle flour onto a cutting board - scoop dough onto board and work into a ball. Store in refrigerator until ready to use. Let sit room temperature for 1 hour before rolling out. This is a very flaky crust. Best pie crust recipe I've ever used. 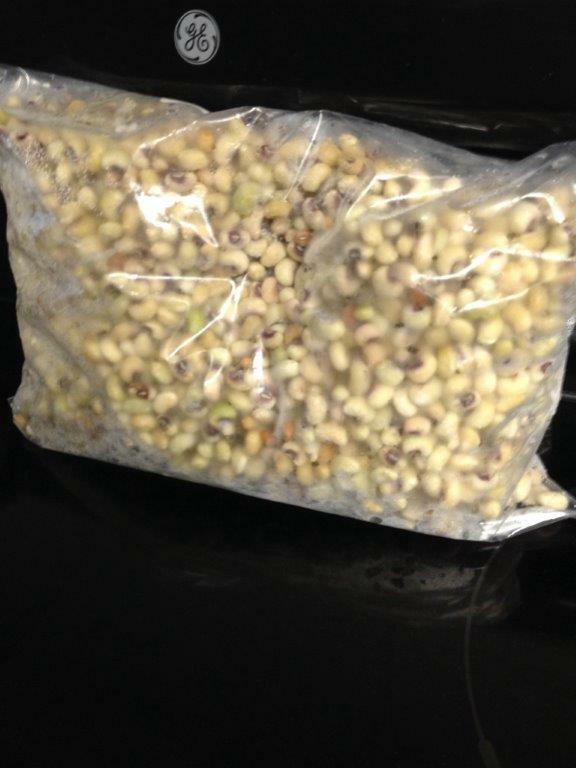 Thank you so much, Anet, for sharing with us your 'Bounty' of great information about your Love of Gardening and Your Great Recipes from the Grow Plot to the Cook Pot. 2. How did you become interested in writing books? (A) My first book was a children’s book about my daughter in the military called “Military Mommy.” It was written in a simply poetic form from the eyes of a child, my grandson, Noah. It showed what might have been his thoughts as a military child as his mom went to boot camp and as they relocated from the southern living atmosphere to their first duty station in the Pacific Islands. The book was used as a fun interactive teaching tool to help military children be proud of their parents who were active American servicemen and women. We march together through the story and I show them how to salute. I have a flower lei and an ukulele I play to sing songs. I show them amazing pictures of an volcano erupting just because in Military Mommy her first duty station in the book was the Hawaiian Islands. 3. When did you first start writing? What(age)? (A) I began my writing career after all my children were raised. I had raised five children and the last child had just gone to college. I helped with my first grandson a bit while his mom was becoming an American Soldier. I started writing when I final had an empty nest. I wrote about her military experience. 4. Have you always wanted to be a writer? What was that particular “spark” that made you pick up your pen and start writing your first book? (A) With my dad’s biography Dance Me Home, I remember my dad use to talk about the war at the dinner table, and how he met mom at a USO dance. When my daughter became an officer, military life came front and center at our house again. What things were different? What was similar? What do our American soldier and their families experience because they serve? I wanted to share in my way of giving tribute to our military. I wanted to teach and the books are tools to get a chance to show classrooms how to be patriotic. Sometimes I dress up at Betsy Ross and talk about the flag. 5. What motivates you to write? Is there some passion or emotion that drives you to pick up pen and paper? 6. How did you become interested in writing this particular genre? (A) Although “Dance Me Home” Is for adults, most of my books are for children. I am a mother of a large family and after the children grew up I continued to work with children at schools and libraries. Because I had composed music from a teen, I found writing in poetic verse in my children’s books rather natural. So many of my books have a story in poetry form. 7. Tell us some details about one of your books - How did you come up with that particular story? (A) Dance Me Home is a true story about my father and his days in the navy during WWII. It also is a love story. It’s about an American family weaving through history from the Great Depression, man’s walk on the moon to the present. 8. What kind of research did you do while writing your book? Sources searched, etc? (A) I talked to my dad. I read portions of his story to him and we talked every day for three years. I did some background reading of people my dad had encountered along the way, such as Tyrone Power, the actor. My dad bumped into him and looked like him and Audie Murphy, a well decorated war hero. I read about President Franklin D. Roosevelt’s work through the Depression. I went to the Cotton Museum and looked at the long burlap sacks like the ones my dad used when he picked cotton as a boy. I stood at the USS Arizona memorial at Pearl Harbor in Hawaii. There was also some looking at genealogy discovering details of family history which spread across the globe to England, France, Cuba and Spain. It was three years of listening and reading, double checking details. 9. What is the hardest part of writing for you? (A) I had never been good at grammar and struggled with just not knowing how to make proper dialogue, sentence past and present tense, as well as commas were all over the place. I needed an editor. There were many errors in the first version of the book. Friends and family who loved the story came to my aid to encourage another version. My son Christopher painstakingly went through every page and made corrections that I was grateful for. I took a year of English at Pulaski Technical College and gained a great deal of knowledge from my many mistakes. I had lots of help the second time around and the version published in 2014 is much better, although I believe you would not have to look far to still find mistakes. I had a great opportunity for the book to be useful to find a cure for Alzheimer’s and corrections were made quickly. 10. What suggestions or advice would you give aspiring writers? (A) Write what you know. (A) Dance Me Home is the first book for adults to enjoy and I am in the process of writing a follow up on the research my son Christopher has done with my uncle on building our family genealogy. The book has amazing details and fascinating stories and will most likely be called “Dance Me Back.” “Military Mommy” and “Dance Me Home” are military and family. I have written four poetic follow up stories to Military Mommy called “The Adventures of Noah” which teach about nature, travel and science. From there I wrote a total fantasy tale about a Christmas Mouse called “Twas The Mouse Before Christmas.” Up until then I used photography to tell my stories. Now I could not find an illustrator for my mouse book. I talked with several students who said they would, but didn’t. I hired a tattoo artist who made one drawing and that was all. After a year of searching I decided I needed to learn how to do my own illustrations. I had a wonderful friend in my choir Elodie Bingham who showed me some tips and I was off and running. It took me another year but Herald the mouse in my Christmas story was born. My sister-in-law Cindy Reyes retired as a Spanish teacher and she joined me by adding Spanish to the book. My sister Barbara Funk ran Funks Gallery and she designed a stuffed mouse. Harold the stuffed mouse travels with me to read at schools and libraries. “The Happy Pumpkin, Patch” came quickly after, and I had two holiday books for children. A good friend and attorney Everett O. Martindale read “Dance Me Home” and saw the illustrations to “Twas The Mouse Before Christmas” and shared with me how he had been a story teller for 30 years and people had always told him to write his creations into storybook form. He asked me to help him bring his vision to life. I was thrilled to be his illustrator and co-author. We published a series called “Animals Used By God.” In one year’s time we had five books with Cindy adding Spanish to several books, making them very unique. To answer that question I believe I have about a dozen children’s books since 2010. 12. Do you have specific techniques to develop plot and stay on track with the story? (A) Dance Me Home had many different directions, but all the characters are real, so everyone really is different. 13. How do you develop and differentiate your characters? (A) The animal characters go hand in hand with the different characters in the bible. They closely follow those story lines. 14. What is your goal for your book (books)? What do you want the reader to remember after they have read your book? (A) With Dance Me Home I hope they feel inspired by this simple American family, I hope they cry and laugh out loud and are touched by the triumph over struggles of everyday life. I hope to help the cure for Alzheimer’s. I hope I can speak and create awareness. With the children’s books I hope the children will just fine the love of reading, and maybe learn in an entertaining fun way. Growing Bows is a story about the importance of plants and how to help the environment by creating a backyard butterfly habitat, and creating a safe place for honeybees and eating healthier treats such as sunflower and pumpkin seeds. 15. Is there a deeper message in your books that you want the reader to grasp? (A) I am hoping with Dance Me Home they will love their families and be proud to be American no matter where they come from. I hope we find a cure for Alzheimer’s and this book will be a tool to be used to help do that. I encourage others to learn their family history and cherish what is uniquely theirs. 16. What is your writing schedule like? Do you strive for a certain amount of time to devote to writing each day? (A) I am drawn to write and share with children. It is a passion and I spend a portion of most days writing and enjoying life. One needs to experience life in order to write about it. So when I am called away from my writing to kayak at South Lake Tahoe or climb Kilauea Volcano, I go. I do. I see. I take pictures and I journalize nature, museums, history, food and travel. I take it all in. You can only write what you know, so I want to know more all the time. 17. Do you have any rituals your follow when writing? Do you prefer to write at a certain time of the day? (A) I write and I take walks and I love walking by the Arkansas River every day, or wherever I can be by water. I love kayaking on lakes and swimming in the ocean. 18. Do you have a favorite snack food or beverage that you particularly enjoy when you are writing? (A) I like hot coffee and almonds. Lots of water with lemon. 19. What is the most difficult part of the whole writing process? (A) I love it all. I love to create nice atmosphere. In the winter I like to sit looking at my fireplace and turn on soft instrumental music when I am painting illustrations. I love my loft apt in Little Rock on the Arkansas River. I walk to the library and see lots of other artists work. 20. Does writing come easy for you? (A) I have not run out of ideas yet. Writing is fun. I like being creative. Sometimes I compose songs to go with my stories and I have been recording again. I recently recorded “Soldier” a song that goes with Dance Me Home. KSSN country radio station in Little Rock has been playing it on their homegrown show. 21. Do you have more books that you plan to write in the near future? Are they in the same genre or a different genre – (if different – what genre has been selected for your next book)? (A) Yes. I am working on a young adult series called “Give Me Five” fictional romance and action series. Everett Martindale and I have five Animals Used By God that are published and 3 more soon to be with Cindy Reyes’ Spanish added and 2 unfinished and several more we are talking about. We would also like to create a preteen detective series utilizing some of his legal expertise into fictional scenarios. “Growing Bow” will be done this summer 2014 and it is my first chapter book for young readers about honeybees and plants and butterflies and birds. 22. What types of books do you like to read? (A) Disney fairytales. Nature books. I like picture books with animals and beautiful landscapes the best. Mysteries. Biblical inspirational. True stories are my very favorite. 23. Who is your favorite Author? (A) I like the Little House books, but my favorite is Heidi. My sister Phyllis read it to me when I was about ten and I lived on a goat farm at the time. I loved that book. 24. Who gave you the best writing advice you ever received, and “what” was it? (A) An elderly gentleman who I told that I kept finding mistakes in my work every time I read it, He told me, ‘you always will, publish it anyway’ that way you’ll keep learning, keep listening, keep getting better. 25. How have you marketed and promoted your work? (A) Various ways. Keep my eyes open for ideas to match that book. Twas The Mouse Before Christmas is great at Christmas fairs and I am hopeful to read at the Children’s Hospital. The Pumpkin book and Growing Bows are good for Garden Centers. The Animals Used By God at churches. The Adventures of Noah are good short story teaching supplements for elementary teachers. Dance Me Home for Alzheimer’s Association and Military Mommy for patriotic events. 26. What advice would you give to someone who is contemplating writing a book? – what would be a good place to start? What are a few things they would need to know before starting such a project? 27. What advice would you give other novelists about book promotion? (A) Go share your book. Make cards, set up a website. Knock on doors. Get creative. I asked if I could read my pumpkin book at a The Good Earth garden show Pooches and Pumpkins festival. I handed out rack cards and read and sang with the kids for hours and I sold every book I brought. I set up my own table with pumpkins and a big poster of the book and free candy to hand out. 28. What words would you like to leave the world when you are gone? (A) I hope I left something good behind. A legacy of hope. A song that inspires, a picture that’s admired and enjoyed, a book that made them smile. I wrote many of the books while going through a very difficult situation in my life. They were my therapy. I replaced pain with a positive action and it brought me peace. 29. Where can people learn more about your books? 30. Where do you get the names for your characters? (A) In the process, the ideas just come. I will tell you that in the case of Animals Used By God - Everett names most of the animals. That is the fun part waiting for what he will come up with next, then I take it from there. 31. Do you keep a pen and notepad on your bedside table, handy in the car, always close by for those “book thoughts” that come quickly to mind and flee forever if not captured and written down? (A) Yes and I make myself wake up to write it so it is not lost in the morning. Also find my Iphone’s note pad is most helpful. 32. What has been your greatest internal struggle to overcome in relation to your writing career? (A) Not enough money sometimes to develop a book. Not enough money to travel to promote. Some book stores and libraries will not let you sell so you miss the moment when people would most likely buy. Sometimes I travel and have great displays and hand out rack cards and sell nothing. Yet, I realize this is just part of the trade. 33. Does your understanding of the story you are writing change during the course of the book? (A) Sometimes the story will take a turn all on its own that I did not plan on. That’s always exciting! 34. Describe your writing in three words. 35. Is there anything else you would like to tell us about yourself? Conclusion: I want to "Thank" Carol for sharing some insight into her work and her personal life with us here on my blog. It has been delightful. NOTE: If you would like to meet Carol in person, she is having a book signing event at Barnes n Noble, in Jonesboro, AR, on August 9th. The event will be in conjunction with the Alzheimer's Association awareness question and answer program. 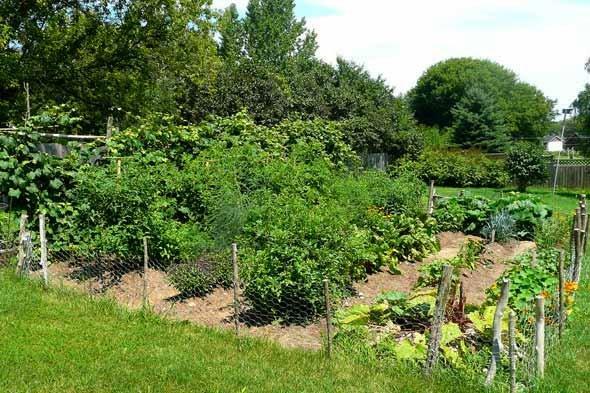 Growing a family vegetable garden takes some hard work, but when the season puts forth its bounty of fresh tender tasty vegetables, the gardener reaps the rewards. Many gardeners I know have raised gardens year after year. My father was a master gardener and raised a garden for 70 of his 91 years upon this earth, and that is not counting the years he helped in his parents’ garden as a child. His gardens were of various sizes ranging from a small backyard garden to a truck patch. Family, friends, and neighbors all enjoyed the fruits of my father’s labors. 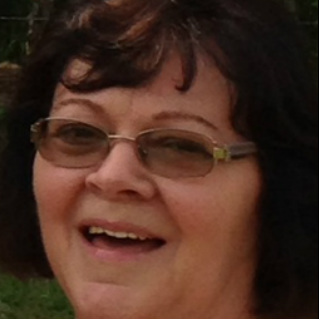 My lifelong friend, Beth Garner learned to garden by her mother’s side, and has continued to raise her own vegetables in a backyard garden for many years. Besides enjoying the food grown at its freshest peak of vine ripened flavor, Beth also preserves some of her crop by methods of canning and freezing to be enjoyed during the cold winter months. Beth, and her husband Larry, raise a fairly large garden and it is lovely, to say the least. I asked if she would share some of their techniques. She said they used composted decomposed horse manure for fertilizer. This is a great choice for organic gardening and also a good process of natural recycling from their own horse barn lot. I also asked about Critter Control for anyone who has raised a garden knows it is sometimes a competition between you and the deer, rabbits, squirrels, raccoons, birds, and turtles as to who gets to the first garden pics of the season. Beth said some of the methods they used to keep the critters away were: keeping a battery operated radio playing in the garden to scare off the deer and other animals. They also put up an electric fence around the garden. I shared with her that we sometimes cut up pieces of aluminum pans, punched a hole in the pieces and tied strings to them, then, tied them to some of the plant stems along the row of plants. The shiny swinging pieces of aluminum effectively kept some of the bandits at bay. I also asked Beth if they used cages and trellis in their garden. Her answer was “yes” – they placed cages around the tomatoes and ran a wire fence along beside vining plants like cucumbers, squash, and bean so that they could grow vertically. This is a great way to keep the vegetables off the ground and deter insect infestation and rot. As far as combating insects in the garden goes, Beth stated that they usually use a powdered form of insect repellent such as Seven. Then finally, as anyone who has ever gardened knows, there is the weeding of the garden which needs to be done to prevent the weeds from competing with the vegetable plants for soil nutrients and water. In a nutshell, Beth advised me that a successful garden can be obtained by following these few rules: Choose a sunny, well drained site for the garden. Have water accessibility. Have a plan for dealing with critters and bus. Choose a natural based fertilizer. Deal with garden bugs at the earliest onset and use an environmentally friendly insect control method whenever possible. 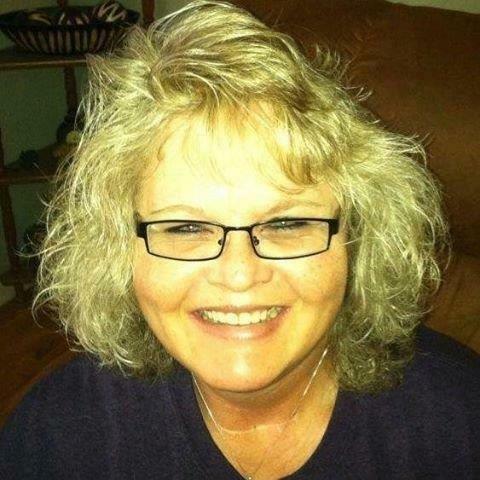 Beth also stated that she loves to garden for many reasons, some of which include: she loves the vine-ripened taste of foods from garden to fork – she loves to plant seeds and watch things grow – and, she loves saving money. Gardening is also very therapeutic in regards to clearing stress and gives the person a good physical workout. Skip on over to the Kidz Gone To Potz Gardening Blog to see some photos of Beth's Beautiful Arkansas Garden. 1. Tell us a little bit about yourself – Name – age – location - where you go to school. I am 8 years old and my birthday is March 14th. I am in 3rd grade and live in Arkansas. My grandma and I started doing books when I was just a little kid. She wrote a book called The Pumpkin Field and I did the coloring pictures and we made them into books. I would add to the pictures making my own stories. I went with my grandma often when she would be speaking to people about books and writing. When she talked at the school and the library I was with her and knew I wanted to write books and see my picture on the back of my own book someday. Now I have the first one that I wrote and many more in mind to write. 3. Where do you come up with the ideas for your books? I think about real events happening in real life and things that could be. I think about things that might be scary or interesting. I think about things I hear and see. 4. What do you think makes a really good story? One that keeps you interested. One that makes you think and I really like mysteries where you don't know what will happen next. One where the characters seem real and the places too. 5. What is the hardest part about writing a book? Deciding how I want to tell my story. 6. How long does it take to write a book? A really long time because we go over it trying to make it better. We learn a lot of new things as we are writing. The bigger the book the longer it takes. 7. Tell us about your book – What is it about? About two kids who don't listen to their mom and dad and get lost in the woods. They have a dog named Floppy that they love and love to play with. When the dog goes into the forest chasing a squirrel they follow him and get lost. They do not know the path to get home and as it gets dark they become very afraid. There are many dangerous things in the woods. I can't tell you anymore or it will ruin the story. 8. Do you plan to write more books? That is a definite yes. I already have the stories in my mind and am working on it now. 9. What will your new books be about? Beyond The Pumpkin of The Pumpkin Field is something special. The first story is one with pictures I loved when I was little and still like. I got to thinking about it. When you read it and really think about it there are all kinds of things that come into your mind. I began to think there is more to the story. I am writing a book that has many interesting things as a group of children go to investigate what is beyond the pumpkin field and if it is really haunted. What the find and if they make it out will be a story I think you will remember. I also want to write a book about the elements of survival. Things can happen we don't plan. When I go for walks in the woods with my grandpa we see many things. What if you got lost and could not get back. How would you survive? There are many places even going camping when you might have to survive. What if you got snowed in when you went hunting and it was very cold? I am not sure of the story yet but think there are many interesting things I could do to make it a good book. 10. What is the best thing about being an author? It is so much fun coming up with the ideas for the story and seeing them work out and eventually if you work hard at it, you have your very own book. 11. What do your family and friends think about you being an author of books? They are very excited and I hope they all come to the authors fair book signing I am invited to in March in Jonesboro, Arkansas. Several of my friends want to get my books too. My family are very happy for me and you should see how they smiled when I got my proof of the book. My great grandfather said he will keep his always. We went for his birthday and I signed it for him. 12. What are some of your favorite things to do besides writing books? I like making things sculpting from playdoh with my grandmother. I even made an Indiana Jones Snow Man for Christmas with a hat you can take on and off. I like writing books with Grandma. I love to do things with my grandpa such a fishing and exploring in the woods. My Mom and Rob take me to do many fun things as a family and we all love to swim in the summer. I miss the warm weather and can not wait to be able to play outside. I like to play and visit with my friends. I really love to play with our little dog, Angie. When I come in from school she is always so happy to see me. It was so sad to think about when we got her. She only had two days to live. The place where she was only gives them 30 days to be adopted and then they have to put them to sleep. When we found out about her we brought her home. Now she has a new family and we have a dog full of love. When it is not so cold my grandpa and I plan to go out into the woods and I can take pictures. I want to help my Grandma with her art and words where we take the pictures and she adds thoughts and things to them. She has some really good ones. When Grandpa and I went fishing one day Grandma did not feel good enough to go so we took pictures. The trees were so bright with colors in the Fall. She loved the picture and decided to use it to make the cover for my book and story Down The Path. We all work together making things work. I love video game too. My three favorites are The walking dead, Jurassic Park the game and the Minecraft. 13. Do you have any favorite authors and books? Tell us about them. My grandma is first. I also like Eve Bunting who write Sunshine Home. Diary of a Wimpy Kid series are more books that I like written by Jeff Kenny. 14. Do you have any book signings or events coming up that we should know about? I will be a guest author at the Jonesboro Author's Fair held at the Library March 22nd from 2 to 4pm. I am very excited about it and know we will have a good time. There are several other things we are thinking of but do not have scheduled yet. I am supposed to do an interview for my book with a reviewer from New York on her program. I can do it by phone but we do not have it scheduled yet.